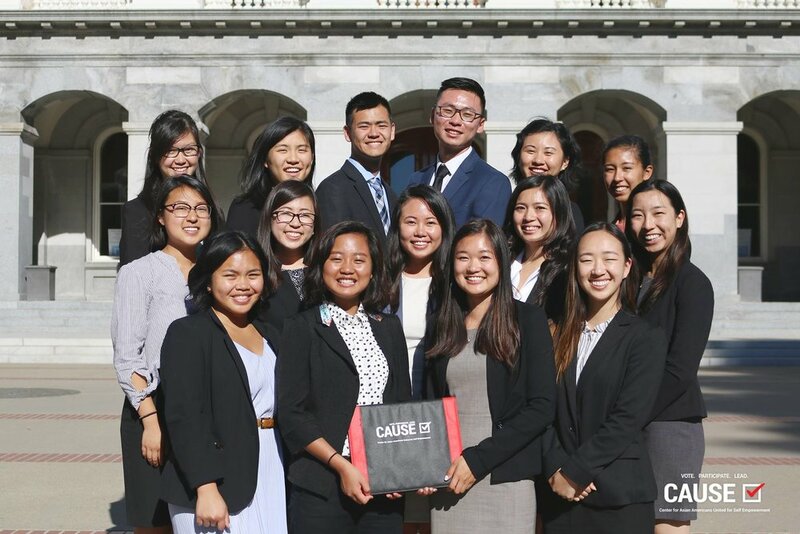 This week the CAUSE Leadership Academy cohort and I had the privilege of visiting the California State Capital in Sacramento to meet and speak to leaders and politicians working directly in the Capitol. Our trip was generously sponsored by Southwest Airlines, whose hospitality and free peanuts never disappoints. Although I met many amazing speakers and leaders these past two days, there are three specific lessons I learned from three inspiring individuals I want to reflect on. Once we arrived in Sacramento and dropped off our belongings, we immediately walked over to Café Connection to meet our first speaker, Jith Meganathan, a policy analyst at the Western Center on Law and Poverty. As I was listening to Mr. Meganathan speak, I began to feel inspired by his passion for his work. He referred to his bill like they were his children, and he actively works hard every day to ensure their growth and survival. I sat in awe as I heard him speak passionately about fair housing policies for those who are low-income, immigrant, undocumented, or a mix of all three. Mr. Meganathan’s narrative provoked me to imagine the possibility of pursuing a career that I enjoyed while making a difference. I realized that I was beginning to see my dream of making an impact as no longer childish or naïve, but a reality. Immediately after meeting with Mr. Meganathan, we had the special opportunity to meet with Annie V. Lam, Principal of Lam Consulting Group and Rebecca Lee, Government Affairs for Southern California Edison. I was immediately drawn to their strong and eloquent public speaking skills, genuine personalities, and wisdom. Ms. Lam was candid about her immigrant background and the struggles she faced growing up. Her narrative resonated with me because we shared similar hardships as Vietnamese immigrants. As the children of Vietnamese immigrants, we both experienced being our parents’ translators and advocates. I was initially caught off guard by how sincere yet firm she was when describing her experiences. I realized then that Annie Lam was the first person I have ever met so far in my life whose experiences were almost identical to mine. I was really touched and inspired by her motivation to pursue knowledge, know her rights, and transform her anger into energy to effect change. I realized then that I wanted to pursue a life path like she did, not exactly – but in my own way, rooted from my own life experiences. Throughout the first day and during the morning of the second, I found myself returning to the stories that Mr. Meganathan and Ms. Lam shared with us. For the first time in a really long time, I felt empowered. It sounds silly, but I gave myself permission to imagine myself in one of their positions. No matter what you call it or no matter what the title may be, I realized I wanted to become an advocate for the communities I am a part of, and not a part of, and engage in policy work. I finally realized that public policy stood at the intersection of community engagement and politics – that it was possible to have both, because both community interests and political interests align and intersect. I am grateful to have the privilege of meeting so many inspiring and insightful leaders in the community who are committed to creating social change. Their words and guidance have illuminated the path of public policy for me because I am realizing and accepting the reality that I can make a difference. Even without an official title, I have always been an advocate. Ms. Lam taught me that I have been advocating for my parents ever since I became proficient in English. Mr. Meganathan showed me that I can advocate for public policy that affect disenfranchised communities of color. 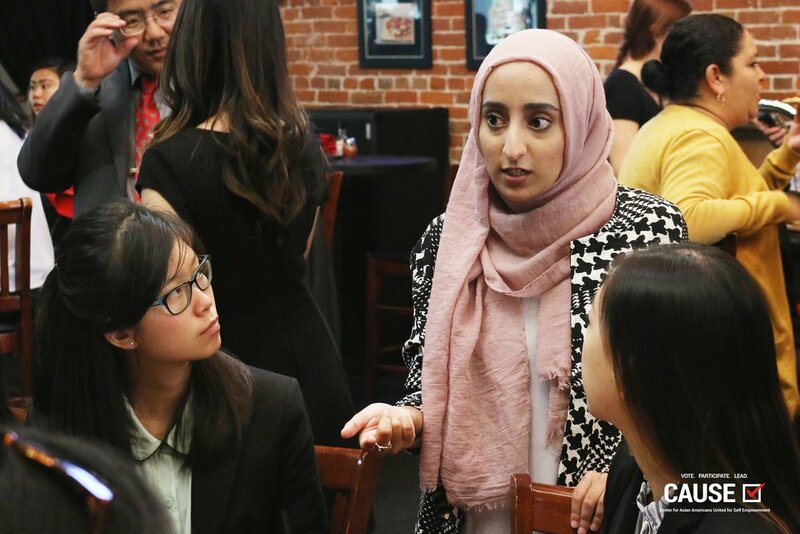 And Maheen helped me believe that I can advocate for the community in public policy and still remain grounded in my humble working-class immigrant roots. I am grateful to these folks for becoming the leaders I once thought were only a naïve dream. I am inspired and I feel empowered to follow them through the leadership pipeline they have created for me and the many others before and after me.